Gryazovets is a town and the administrative center of Gryazovetsky District in Vologda Oblast, Russia, located on the Rzhavka River, 47 kilometers (29 mi) south of Vologda, the administrative center of the oblast. Population: 15,528 (2010 Census); 16,172 (2002 Census); 16,424 (1989 Census). Vologda Oblast is a federal subject of Russia. Its administrative center is Vologda. Population: 1,202,444. The largest city is Cherepovets, the home of the Severstal metallurgical plant, the largest industrial enterprise in the oblast. Russia, officially the Russian Federation, is a transcontinental country in Eastern Europe and North Asia. At 17,125,200 square kilometres (6,612,100 sq mi), Russia is by far or by a considerable margin the largest country in the world by area, covering more than one-eighth of the Earth's inhabited land area, and the ninth most populous, with about 146.77 million people as of 2019, including Crimea. About 77% of the population live in the western, European part of the country. Russia's capital, Moscow, is one of the largest cities in the world; other major cities include Saint Petersburg, Novosibirsk, Yekaterinburg and Nizhny Novgorod. Extending across the entirety of Northern Asia and much of Eastern Europe, Russia spans eleven time zones and incorporates a wide range of environments and landforms. From northwest to southeast, Russia shares land borders with Norway, Finland, Estonia, Latvia, Lithuania and Poland, Belarus, Ukraine, Georgia, Azerbaijan, Kazakhstan, China, Mongolia and North Korea. It shares maritime borders with Japan by the Sea of Okhotsk and the U.S. state of Alaska across the Bering Strait. However, Russia recognises two more countries that border it, Abkhazia and South Ossetia, both of which are internationally recognized as parts of Georgia. The number of Finnish prisoners of war during the Continuation War (1941–1944) is estimated from 2,377 to 3,500 persons. According to Russian historian Viktor Konasov, 2,476 Finns were registered by the NKVD (People's Commissariat for Internal Affairs), of which 1,972 were handled by POW camps with the majority handled by Camp no. 158 in Cherepovets, Vologda Oblast, and its subcamps. Of all captured, 582 were from the Finnish offensive in 1941, 506 during 1942–1943 and 2,313 during the Soviet offensive of 1944. Cherepovets is a city in Vologda Oblast, Russia, located in the west of the oblast on the banks of the Sheksna River and on the shores of the Rybinsk Reservoir. As of the 2010 Census, its population was 312,310, making it the most populous city in the oblast. In law, medicine, and statistics, cause of death is an official determination of conditions resulting in a human's death, which may be recorded on a death certificate. A cause of death is determined by a medical examiner. The Battle of Tienhaara was a part of Continuation War between Finland and the Soviet Union fought north of Viipuri on June 22, 1944, after the Red Army had captured Viipuri. 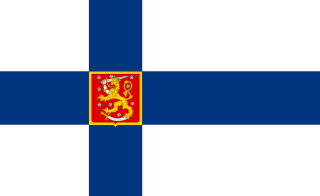 Having lost Viipuri Finns concentrated their defense to the Tienhaara region which offered favourable area for defense with nearby waterway cutting the already narrow battlefield into several islands. The Main Administration for Affairs of Prisoners of War and Internees was a department of NKVD in charge of handling of foreign civilian internees and POWs in the Soviet Union during and in the aftermath of World War II (1939–1953). Einsatzkommando Finnland was a German paramilitary unit active in northern Finland and northern Norway during World War II, while Finland was fighting against the Soviet Union with the support of Nazi Germany. The official name of the unit was Einsatzkommando der Sicherheitspolizei und des SD beim AOK Norwegen, Befehlsstelle Finnland, but it was often referred to as Einsatzkommando Finnland. The GULAG Operation was a German military operation in which German and Soviet anti-communist troops were to create an anti-Soviet resistance movement in Siberia during World War II by liberating and recruiting prisoners of the Soviet GULAG system. Despite ambitious plans, only a small group of former Soviet POWs was airlifted to the Komi Republic in June 1943. Members of the group were captured or killed days after landing. Victims of Yalta or The Secret Betrayal is a 1977 book by Nikolai Tolstoy that chronicles the fate of Soviet citizens who had been under German control during World War II and at its end fallen into the hands of the Western Allies. According to the secret Moscow agreement from 1944 that was confirmed at the 1945 Yalta conference, all citizens of the Soviet Union were to be repatriated without choice—a death sentence for many by execution or extermination through labour. East Karelian concentration camps were special internment camps in the areas of the Soviet Union occupied by the Finnish military administration during the Continuation War. These camps were organized by the armed forces supreme commander Carl Gustaf Emil Mannerheim. The camps were intended to hold camp detainees for future exchange with the Finnic population from the rest of Russia. The mortality rate of civilians in the camps was high due to famine and diseases. The Aftermath of the Winter War covers historical events and comments after the Winter War between Finland and the Soviet Union from 30 November 1939 to 13 March 1940. The short period after the war and before the next, the Continuation War, is known as the Interim Peace. The Soviet partisans in Finland were an irregular military force which attacked Finnish military and civilian targets during the Continuation War, a sub-theater of World War II active between 1941 and 1944. They were based in East Karelia in the Soviet territory and conducted long-range penetration reconnaissance and raids inside Finnish borders, often attacking weak targets such as remote border villages or ambushing vehicles. Around 170 Finnish civilians were killed and 50 wounded in the raids. 1 2 Malmi, Timo (2005). "Jatkosodan suomalaiset sotavangit". In Leskinen, Jari; Juutilainen, Antti. Jatkosodan pikkujättiläinen (in Finnish) (1st ed.). Werner Söderström Osakeyhtiö. pp. 1022–1032. ISBN 951-0-28690-7. ↑ Nikkilä, Reijo (2002). Alava, Teuvo; Frolov, Dmitri; Nikkilä, Reijo, eds. Rukiver! : Suomalaiset sotavangit Neuvostoliitossa (in Finnish). Edita. p. 17. ISBN 951-37-3706-3. ↑ Frolov, Dmitri (2002). "Sotavankilainsäädäntö Neuvostoliitos vuosina 1939–1944". In Alava, Teuvo; Frolov, Dmitri; Nikkilä, Reijo. Rukiver! : Suomalaiset sotavangit Neuvostoliitossa (in Finnish). Edita. pp. 58–59. ISBN 951-37-3706-3.